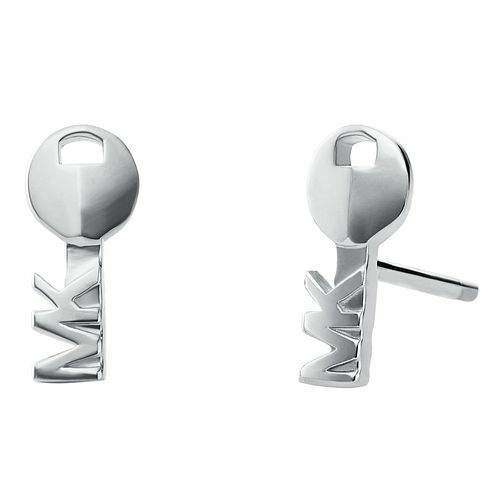 These delicate Michael Kors sterling silver key motif stud earrings are the perfect addition to your jewellery box, and will soon become your go to accessory for the days you're in search for subtle glamour. The earrings are adorned with the New York designer signature logo. Pair with an always on trend all black ensemble for a touch of refined elegance to that fashion forward look.